5:00AM – Wake up & get your spot along Orange Ave for the parade. You can’t set up before 5am – however, you should get there by 4:30am and wait across the street from ‘your spot’ if you want front row seating on the curb or grassy median! Tip, you can also take the ferry over from downtown San Diego to Coronado. The traffic is going to be heavy, so plan on walking or biking. Announcers and Sponsors by block. Can’t be at the parade? Live stream the parade on Coronado TV (http://tv.coronado.ca.us/) or through facebook (https://www.facebook.com/surfsupstudioscoronado). 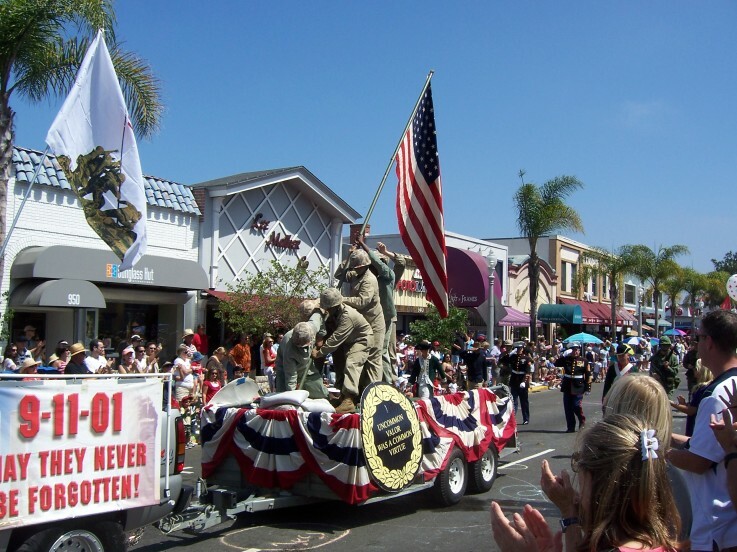 Get email alerts for 4th of July updates and Coronado news & events. Need a hotel during your stay? Visit our Coronado hotels page here.